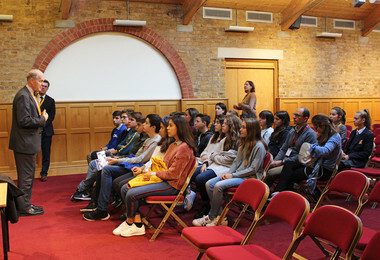 Nineteen pupils from Agustinas Misioneras (Valladolid, Spain) were very excited to travel to the College for an exchange week from 8th to 15th October. 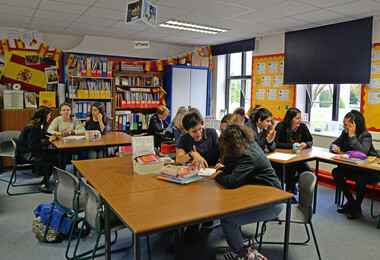 The Spanish pupils "were very much looking forward to meeting our exchanges" before arriving at the College and right from the start "all of them were really kind to us. We had a great time with our exchanges and their families". 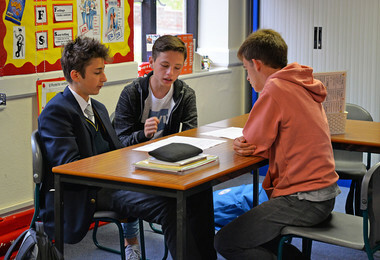 The pupils were impressed with the size of the College, in particular "the big green spaces, the facilities, the importance you give to sports, arts, technology and the layout of the Houses", as it is so different to Spanish schools. The College actually "reminded us of Hogwarts"! 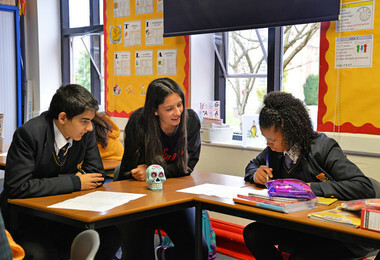 During their stay, the pupils took part in a number of lessons, which gave them the opportunity to practice their English in a natural setting. They also enjoyed meeting Catering Manager Mr Law, "who gave us some delicious scones and taught us about traditional English food" and Head of Business & Economics Mr Birchall, who discussed with them what being British means. 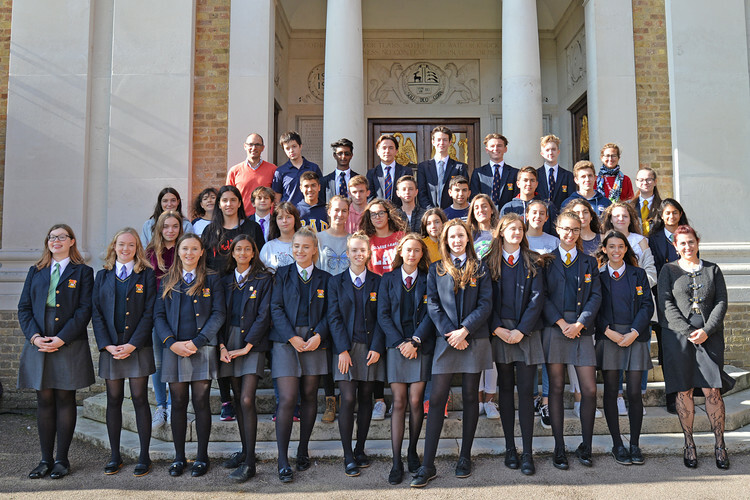 During the rest of the week the Spanish pupils enjoyed excursions to London and Cambridge and spent time with their College exchanges and their families, who introduced them to a number of typical English meals. The Spanish pupils are now looking forward to welcoming their College counterparts during October half term and to show them around their town of Valladolid.